But in this case, it's in Azure PaaS so a lot of the answers are not applicable. How can I make sure the app user has access to the certificate? 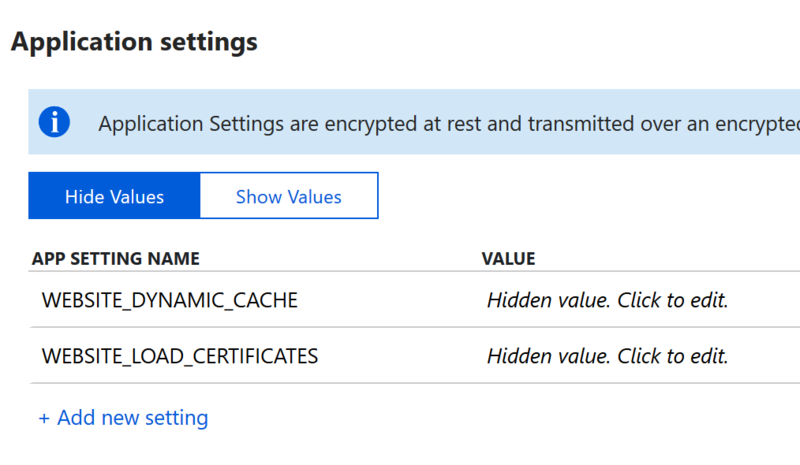 I do have it under SSL Setting in azure CD webapp, and the thumbprint matches the one in xConnect config. [InvalidOperationException: Error while rendering view: '/Views/Storefront/Global/Masterlayout.cshtml' (model: 'Sitecore.Mvc.Presentation.RenderingModel, Sitecore.Mvc'). Figured it out. This annoying setting was missing "Incoming Client Certificates". Not the answer you're looking for? Browse other questions tagged configuration xconnect paas certificate or ask your own question.